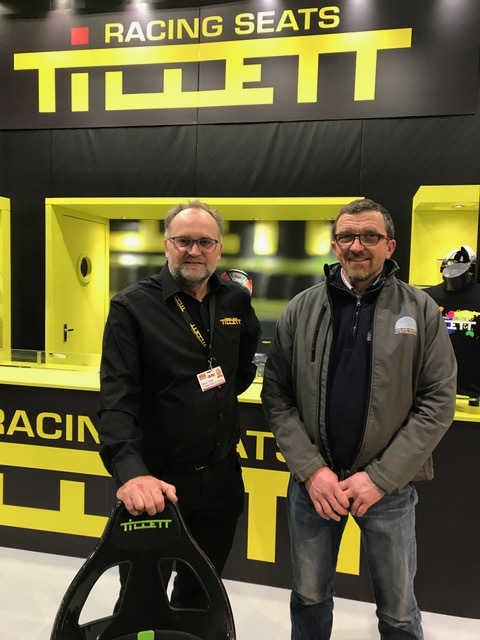 World leading MG Midget and Austin Healey Sprite specialist, Peter May Engineering, is putting safety and comfort first, by becoming an authorised dealer of Tillett Racing Seats. The new agreement will see the West Midlands based business not only stock competition seats best suited for use in both Midgets and MGBs, but also offer a West Midlands outlet for the extended Tillett range. The compact and lightweight design of the Tillett range, make it ideal for use in Sprites and MGBs. The slender dimension allows the seats to be positioned further back in the car to provide greater comfort and a better seating position. Peter May Engineering will stock Tillett’s latest racing seat, the B6 Screamer. This FIA approved seat is a perfect fit in a Sprite and comes in both narrow and XL sizes. Tillett has built a reputation for designing and building high quality lightweight seats for competition and road usage. The market leading kart seat manufacturer across the world, Tillett has used its design knowledge and innovation to develop products for car market as well. Offering a comprehensive range of racing seats, Tillett has also developed products for manufacturers such as Caterham Cars.